Bosch's pacing and plotting may drag at times, but in its third season the show remains as one of the best ongoing detective series. There are two questions a viewer might ask going into the third season of Bosch. The first is what Bosch offers that other television shows about homicide detectives do not, and the second is what a third season of Bosch offers that the first two seasons did not. The first of these answers comes easily: Bosch offers one of the most patient, intelligent, intriguing police procedural narratives on television, eschewing cliffhangers and easy answers while embracing slow pacing, character development, and escalating tension. Harry Bosch (Titus Welliver) is a compelling character, a far-from-perfect father chased by his childhood demons. The directing, the acting, and the writing all hold attention and merit high ratings. Even the cinematography deserves praise. Unlike many other mystery shows – think Foyle’s War or Sherlock – Bosch does not fall apart with hokiness when it comes time for a shootout or car chase. The action scenes are masterful and often come just at the right time. The next question is somewhat tougher: what does a third season of Bosch give us that we did not already have? Here’s where we tiptoe around the territory familiar to anyone who’s seen a cop narrative grow tired: Harry Bosch has blurred too many ethical lines and this has led to him getting framed for murder. Naturally, it’s none other than his partner Edgar (Jamie Hector) who investigates him. Unfortunately, the plot is too busy, as we have a somewhat bizarre amount of storylines to keep track of. The first few episodes show us the the trial of Veronica Allen (Jeri Ryan, returning from season 2), Harry’s relationship with his daughter Maddie (Madison Lintz), Harry’s new relationship with yet another DDA, Anita Benitz (Paola Turbay), the personal life and career of Irvin Irving (Lance Reddick), the personal life and career of Grace Billets (Amy Aquino), and at least four homicide investigations, including a film director who probably murdered an actress, a homeless veteran shot in an RV, a man committing random acts of violence with a bicycle and a handgun, and a suspected killer of prostitutes whose murder is the one for which Bosch is framed. One other odd element of this season is the amount of the mystery revealed to the audience. We know the identity of the Korea Town Killer (the man who shoots and robs on a bicycle) and we know that a sinister Blackwater-esque private military company is behind at least one of the murders. While the first two seasons also spent time following the antagonists (Jason Gedrick as Raynard Waits in the first season; Brent Sexton as Carl Nash in the second season), the third outing does not keep its cards as close to the chest regarding major pieces of the mystery. This can be disappointing, as we’re privy to major pieces of information, including the perpetrators of certain homicides, that Bosch and Edgar are not. The scenes of interrogation and investigation are still tense, but there’s something to be said about the audience not being one step ahead of the detective. This isn’t always a weakness, at least not after the first five episodes. Having more information than Bosch could just be a sign of how involved and layered this season is. It also prevents us from dealing with frustrating reveals that we saw coming episodes earlier. If we already know the Blackwater-esque guys are evil, then we don’t have to wait for that obvious twist. Of course, Bosch has to shake his head and disagree. It’s never that clear or simple. But if one thinks that Lillard’s line about mission clarity is the most self-referential moment in Bosch yet, try this on for size: in Edgar’s investigation into the possibility that Bosch is a murderer, he stumbles across the latin phrase Cave Cave Deus Videt. We learn that this inscription means “Beware, Beware, God Sees,” and that it’s from a 16th century painting by a Dutch painter named… Hieronymous Bosch. I won’t reveal all the other details, but suffice it to say that Bosch’s third season is now wading around in dark territory that feels more True Detective than NCIS, and this is a good thing. Unfortunately, not all of this season’s moments are so successful. Sure, the patience and slow pacing work, but do we really need to see Irving ask a woman out on a date for the first time in thirty years? Are there viewers tuning in for more scenes of Lieutenant Billets’ personal life? Not that those moments aren’t well executed, but it’s hard to understand what their purpose is. Bosch doesn’t purport to be a show that eviscerates the broken system of the LAPD as The Wire did for Baltimore, so why does it allow itself to fall down such rabbit holes? And sure, I might enjoy seeing more work from the cast of The Wire, but that doesn’t mean I should have to remind myself that these redundant scenes aren’t moments from a spinoff focused on Lieutenant Daniels on a new coast. And as a final side note, the supporting cast is excellent and, as in previous seasons, familiar. Any fan of prestige dramas will be pleased to see such faces as Allen Havey (Lou Avery in Mad Men), Paul Calderdon (Arquimedes in Boardwalk Empire), and Eric Laden (J. Edgar Hoover in Boardwalk Empire and William Hofstadt in Man Men). 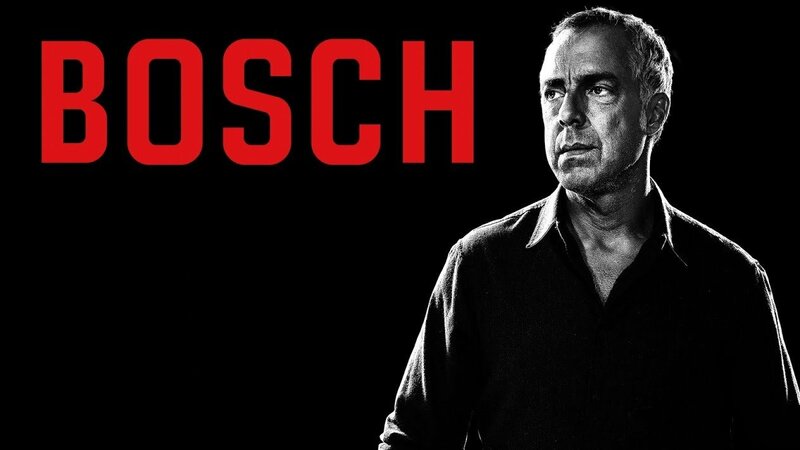 If you’re a fan of the first two seasons of Bosch and you’re debating whether to watch a third, then there’s no question: this is another worthwhile, entertaining outing. The show hasn’t lost its footing or gone too far into new territory. And with no new seasons of Luther or True Detective, and no new Sherlock or Foyle’s War or The Wire, it might just be the best ongoing series about homicide detectives that you can watch today.